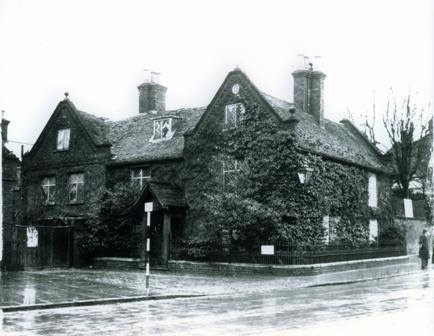 Wednesday 30th September 1914, Leighton Buzzard: Mrs Gertrude Willis has arranged for some Belgian refugees to be provided with accommodation in Leighton Buzzard. Use of a large house in North Street, The Hollies, has been given rent free and the Council has agreed not to collect rates on the property, so long it can get permission from the Local Government Board. The refugees to be housed there are people who held good and well-paid positions in Belgium but who have been reduced to dependence on British charity by the German invasion of their country. The Hollies has been comfortably furnished and equipped with furniture, carpets, pictures and china lent in response to appeals for help. Mrs Willis now only needs some household linen to complete the comfort of the Belgian guests. Many benefactors were willing to give furniture and other items, but the scheme only allows for loans and everything will be returned to the owners when it is no longer needed. A local coal merchant has given a ton of coal “to commence with” and generous offers have been made to help with the cost of housekeeping. The first refugee family of five arrived today and more are expected in a few days.